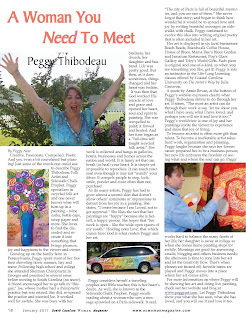 Peggy Thibodeau, "The Sidewalk Chalk Prophet"
I'm gearing up for the Spring season. Here is one of my favorite paintings from the end of last season. It sold at a show before I even finished painting it! This original upcycled painting is done on wood. It is 13.5" x 16.75" It is inspired on the song "True Colors" made famous by Cindy Lauper. I prefer the version by Eva Cassidy. This painting will add a touch of color to any room. The painting comes ready to hang, with painted sides, and a coating of protective sealer. This painting will not warp if hung on a covered porch. Happy﻿ customer! I used an old table top and removed the legs for this painting. I love re-purposing stuff. There are several benefits! One of my favorites is that I'm not using canvases that are made in China! Another is that this table will not be in a landfill somewhere. It's "easy being green" (like Kermit the frog) with recycled art! Not sure why, but this painting was more fun than most. I grew up on a farm, and we had a HUGE swing hanging from the beams of the barn. It is one of the most precious memories from my childhood. I wish they made swings for grown ups. Melissa, a happy customer, picking up her commissioned painting. This painting was done as a birthday gift for a lovely gentleman in Pawley's Island. He was thrilled! This one is for sale at the House of Blues company store. SOLD Sometimes I think the bluebird of happiness ought to just come and sit on our shoulder and whisper the secrets of life in our ear. We all need a little time in the Sun! The book of Proverbs is salted and peppered with references to God as feminine. (This one is from Proverbs 4:9, the Message Bible.) It's often overlooked, but She's there, "calling aloud in the streets." I painted this while sitting at the Home Show a few weekends ago. It's always nice to do an indoor show because of "climate control"! This may be the most interesting "canvas" I've ever been asked to paint on, and that's saying a lot for this folk artist! They came out so well, I've decided I'm going to paint at least one of the three pairs of boots I have in my own closet. My favorite towel for packing my art is yellow and white striped, so I thought I'd include it in this painting. 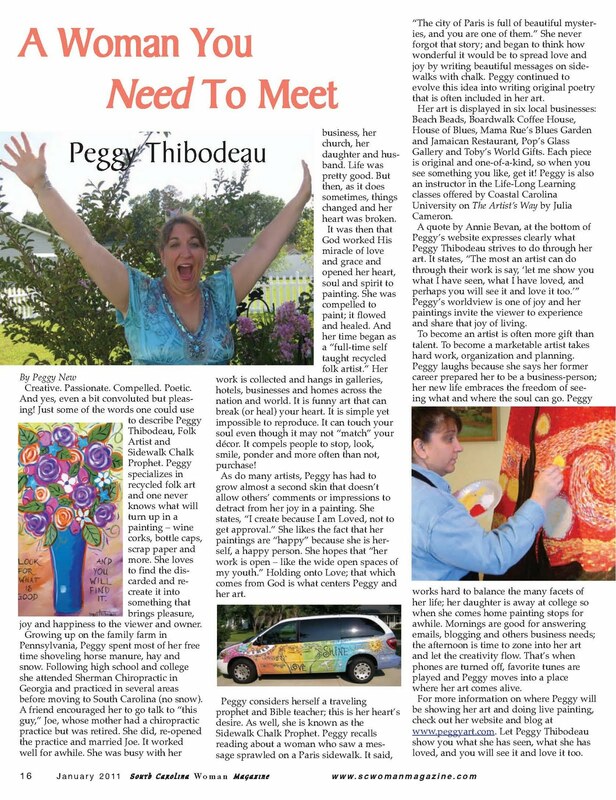 SC Woman Magazine published this article about me. FYI - Sherman College is in Spartanburg, SC, not Georgia. I saw the cutest bulldog at Art in the Park last weekend. I had this painting sketched out and ready to go at home. Seeing the bulldog "in person" (wouldn't it be "in dog"?) inspired me to finish it. I'm pleased that my art has a new home at Boardwalk Coffee House at 9th Avenue on the Boardwalk in Myrtle Beach. Stop by and see Rick and DeAnn Sarver for a hot cuppa java, along with sandwiches, ice cream, and other coffee house fare. I'll be doing lots of live painting there during the season. 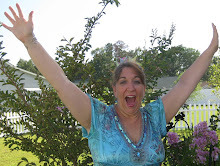 I'm a full time self-taught recycled folk artist living in Myrtle Beach, SC. My work is collected internationally, and hangs in hotels and businesses. My only artist's statement is “Oh, just whatever pleases." I hope my work is open - like the wide open spaces of my youth. Contact me at drpeggythibodeau@gmail.com for pricing and purchase. What does Sidewalk Chalk Prophet mean? The most an aritst can do through their work is say, "Let me show you what I have seen, what I have loved, and perhaps you will see it and love it too."